Lasts up to 6 years. Battery included. Magnetically mounts under your vent register. No tools needed. Quickly configured from the cello app. In Airflow Balance mode, it is recommended that a professional HVAC tech installs this product (Plz refer to DEPENDENCIES on this page). Proper furnace and AC operations and maintenance is a MUST. Air filter MUST be replaced regularly. Air returns must be in place and functional. No change to the home decor. Keep your existing vent registers. No gateway needed. Connects to the cello cloud over WiFi. Thermostat INDEPENDENT. Cello Air damper position is manually controlled from either the Cello app or cloud. The Cello Air damper position changes based on a schedule entered by the end user. The schedule can be entered via the Cello app or cloud. 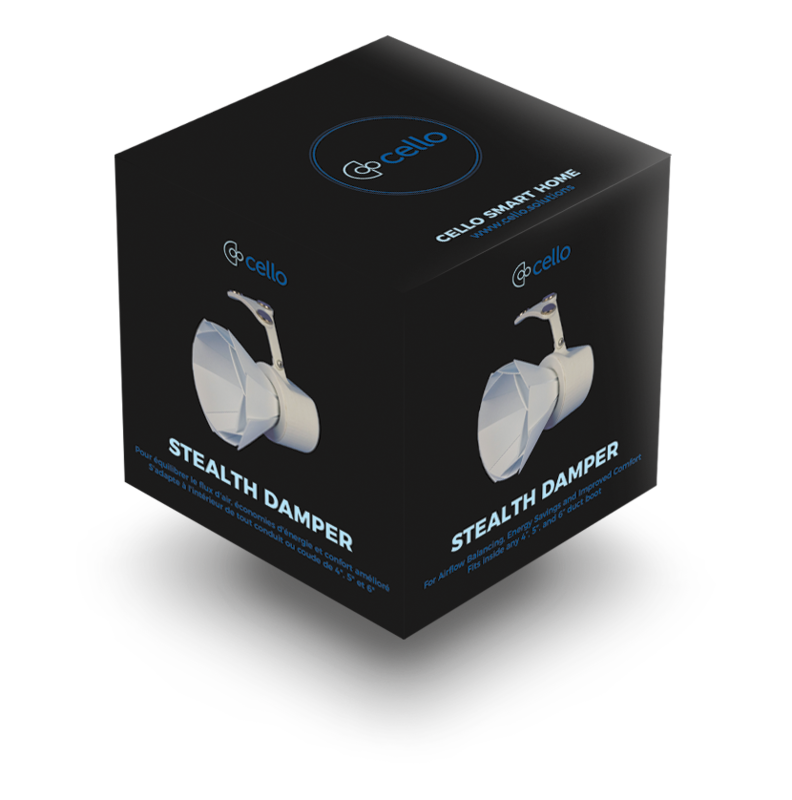 All installed Cello Air dampers are synchronized and intelligently controlled via the Cello cloud. Airflow balancing is achieved using built in sensors and AI algorithms running on the Cello cloud. There are no additional room sensors needed to achieve airflow balance.